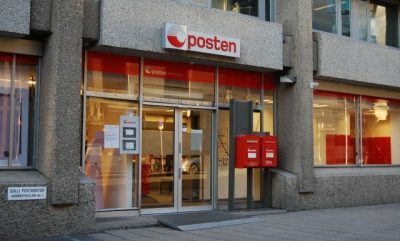 Norway’s struggling postal service, Posten, looks set to lay off another 550 employees. The job cuts loom after the Parliament’s transport committee went along with plans to merge the two classes of postal service and cut staff at six postal terminals. Posten, wholly owned by the state, has faced major competition from email and other private delivery services. While parcel business has risen, largely because of online shopping, the volume of cards, letters and bills sent in the mail has fallen dramatically. That’s having major consequences on both postal employees and customers alike. Post offices are closing all over the country and Posten now is only obligated to deliver mail home to households five days a week. Now plans call for merging A- (first class) and B- (second class) mail delivery systems. That will further worsen postal service. Norway’s so-called A-post is now supposed to be delivered the day after it was sent, while B-post takes three days. The merger will mean that all post will take two days to be delivered. Newspaper VG reported that nine letter-sorting terminals will be centralized into three. The six others will be closed, costing the jobs of 550 workers in Trondheim, Molde, Stavanger, Bergen, Evenes and Stokke. The cuts in service seem to make the decline of Posten a self-fullfilling prophecy. Officials claim they have no choice but to cut service in line with volumes, and once again help Posten adapt to changing times.